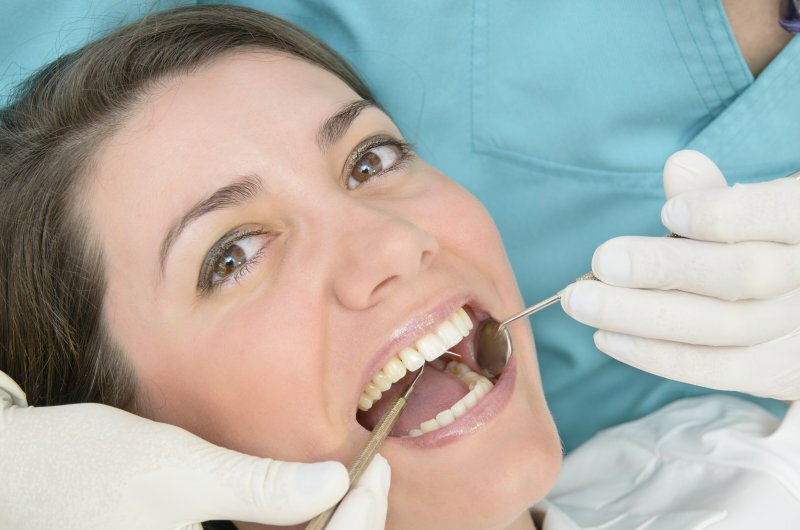 If you think dental checkups are nothing more than a hygienist performing a quick sweep over your mouth, cleaning your pearly whites, and letting the dentist look everything over before giving a thumbs up, you’re going to the wrong dentist. Each time you visit your dentist office, not only should you receive a thorough examination and cleaning, but you can expect to be screened for oral cancer. Here is why that reason alone should keep you from skipping out on your next appointment. When you’re sitting down planning your week, you realize you haven’t had a checkup with your dentist in a long time. It turns out, this can have detrimental effects on your oral health. Without being checked on by your dentist regularly, you can’t take proper preventive measures to avoid and be alerted if you have gum disease, tooth decay, and other serious infections. Be sure to see your dentist before serious problems arise! 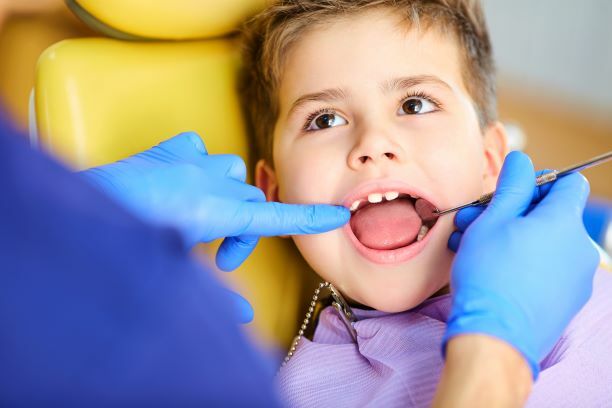 As a devoted parent, you of course want your child to enjoy lifelong dental health. That’s exactly why you should take him or her to the dentist on or before their first birthday. The condition of a baby’s teeth are a good indicator of dental problems that may surface later in life. The time to know about those potential challenges is now, before they develop into long-term difficulties. It’s 2019! The beginning of a new year is the perfect time to start something special, something that will change your life. Have you thought about improving the look of your smile? Studies have shown that people with attractive smiles are perceived as being friendlier and more successful. Maybe you want to try for a better job. Maybe you want to meet someone new. Maybe you just want to feel more confident. Whatever your dreams are, your smile can help you get there. 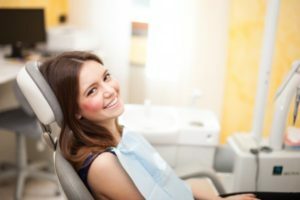 Here are three ways you can improve your smile and your self-esteem this year with your cosmetic dentist in Marlton. Straight teeth look great, but did you know that straight teeth can also help improve your oral health? It’s true. Brushing and flossing crooked or misaligned teeth can be difficult and can leave more plaque in the nooks and crannies of your mouth. Straight teeth provide the optimal situation for good oral health. But do you really want to get metal braces? The point of cosmetic dental changes is to boost your self-esteem, not make it worse. Well, there’s another option: Invisalign. Not only does Invisalign straighten teeth faster than traditional braces, but the clear aligners are discreet and barely noticeable when worn. Unlike with traditional braces, you can enjoy all your favorite foods and activities while on Invisalign treatment without restrictions. For many patients, this advanced straightening option costs about the same as traditional braces and doesn’t require as many adjustment appointments with your dentist. As we age and because of exposure to darkly pigmented foods and drinks, our teeth can become yellow or dull. When the white, protective layer of enamel wears down, the yellow dentin layer of the tooth becomes more exposed. Over-the-counter whitening solutions promise but fail to deliver whitening results. Professional whitening solutions offered through your dentist can brighten your smile by up to 8 shades! There are two types of professional whitening: in-office treatment or take-home kits. Both use the same technique, hydrogen or carbamide peroxide, to safely and effective bleach your teeth. In-office whitening uses a higher concentration and after 60–90 minutes achieves dramatic results in one visit. Take-home kits, on the other hand, are used for about 30 minutes every night for two weeks to get the same level of whitening. With either treatment, you can smile brighter! Thin sheets of ceramic, porcelain veneers are adhered to the front surfaces of your teeth. Because of their material, they reflect light just like natural teeth and look great! If you have imperfections that you want to cover up in your smile, then veneers may be a good option for you. It’s not just about improving the way your teeth look, although cosmetic treatment certainly does that. These changes are about giving you confidence so to show your smile and chase after the rest of your dreams. Make 2019 the year you changed your life for the better. For more information about these and other cosmetic dentistry improvements, contact your dentist in Marlton. Dr. Joseph Sandberg has been practicing dentistry for more than 30 years in the same location. 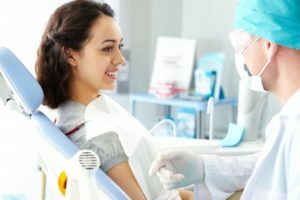 At South Jersey Center for Dental Medicine, he and his staff offer personalized care and attention and can address practically every dental need including cosmetic dentistry. They offer both in-office and take-home whitening solutions, Invisalign, and porcelain veneers. You can contact them by calling (856) 988-7773 or clicking here. Are you heading out of town? You have taken a great deal of time preparing for your upcoming travel plans. Unfortunately, even with the best preparation, an unexpected complication can interrupt your vacation. Although you never expect it to happen to you, 1 in 6 Americans has a dental emergency every year. There is no worse time to have one than when you are away from home. 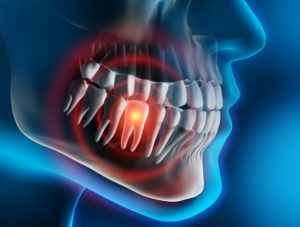 Thankfully, there are several tips you can use during the stressful event until you can see an emergency dentist. You’re all curled up in your misery under a soft blanket, cuddling a steaming mug of something warm while crumpled tissues pile up around you. Every so often, you stumble to the kitchen for another dose of cough syrup or liquid cold medicine. When the aches and pains of winter colds and flu hit, it’s hard to care about anything but finding a bit of relief. 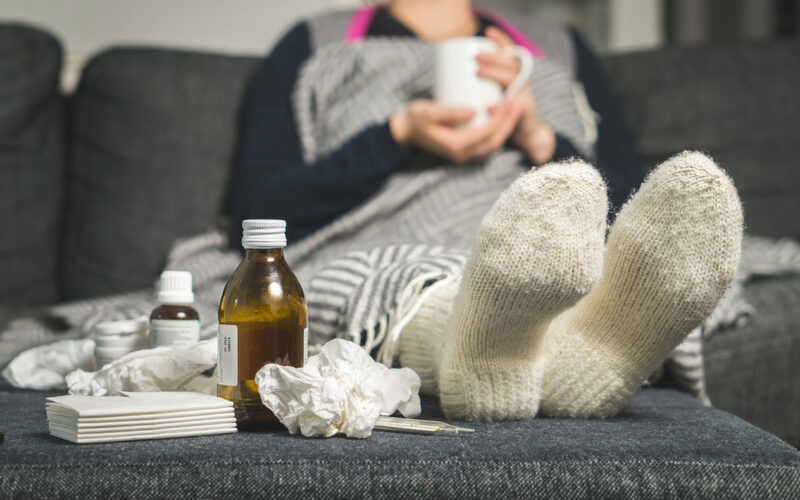 So, before you get taken down by the latest bug, snag these 3 flu season tips for feeling better without damaging your teeth. Dental Insurance Expires Soon, Don’t Miss Out on Benefits! Think back to the last time you went to the dentist. What treatment did you have completed? Was it a simple cleaning or perhaps to have an impression taken for a dental crown or filling? Either way, using dental insurance can make a big difference in saving costs on dental care. Unfortunately, these benefits you used previously are likely to reset once the new year comes around. To avoid wasting any money you spent on dental insurance, you need to get scheduled as soon as possible! Here’s why. Comments Off on Dental Insurance Expires Soon, Don’t Miss Out on Benefits! Will Invisalign Work if You’ve Had Braces or Other Dental Work? For years, traditional braces have been the gold standard for correcting bite issues like gapped, crooked, crowded or misaligned teeth. For some people, though, after treatment, they’ve noticed some regression. Are they relegated to live with their teeth in the condition they’re in? Is it possible for them to get the results they want with Invisalign? Then, how do other dental procedures effect your chances of receiving Invisalign treatment? Your local cosmetic dentist answers these questions and much more as you read on. Comments Off on Will Invisalign Work if You’ve Had Braces or Other Dental Work? Are you using Invisalign to straighten your teeth? 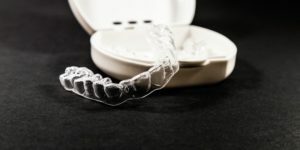 Whether you currently have aligning trays or are thinking about getting some, you’re probably wondering how to take care of your aligners. Caring for and cleaning your Invisalign aligners will ensure you get the best experience and results while wearing them. Follow these tips from your trusted dentist to learn how to keep your Invisalign aligners clear, discrete, healthy and helpful. 6 Top Reasons a Dentist Recommends Skipping DIY Braces! You’ve heard the expression, “If it sounds too good to be true, it probably is.” That can easily be applied to a number of situations, but it’s especially true when it comes to do-it-yourself braces! The idea that you can straighten your own teeth at home using super glue, rubber bands or paper clips is really appealing. After all, it’s free, you don’t have to visit a dentist, and you don’t have to spend time in braces. Unfortunately, it’s not so simple! Straightening teeth is actually quite complicated and takes many years of advanced education to learn how to do. 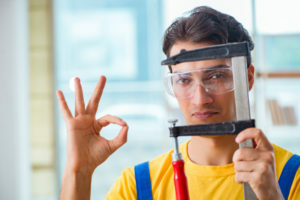 Keep reading to learn about the top 6 reasons you should avoid any DIY method and leave it to the professionals instead! Comments Off on 6 Top Reasons a Dentist Recommends Skipping DIY Braces!